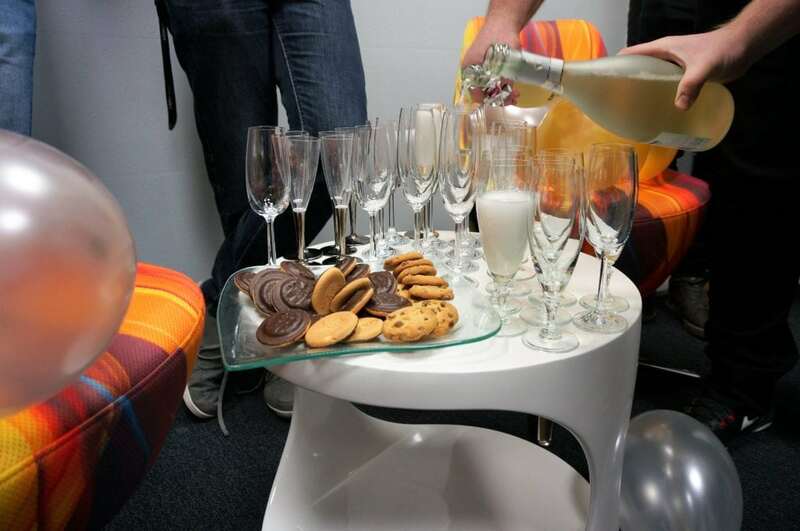 Winogrady Business Center – new eVolpe headquarters! 03 Jan Winogrady Business Center – new eVolpe headquarters! It feels like just yesterday we have been informing about our move to Office Futura. To our surprise, it was actually over 3 years ago! Even though we really liked the “old” building, with the beginning of 2018, it is time to change things up again. 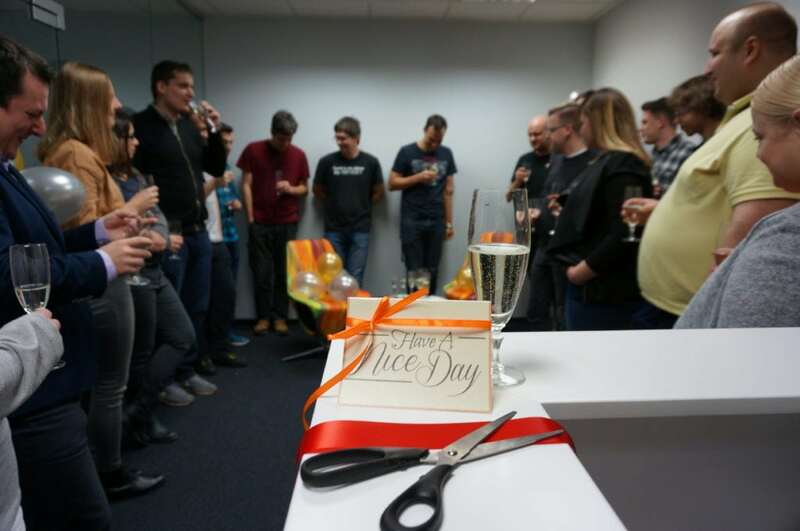 On January 2nd we have held a short opening ceremony. 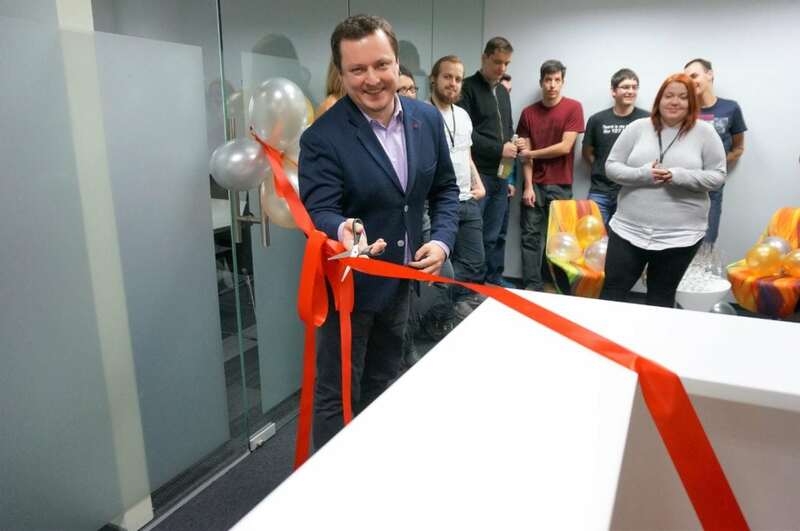 See our boss – Marcin Różański cutting the ribbon! Quite spontaneously we have also started the day with a little glass of New Year’s champagne. If you know Poznań, you will quickly notice that we have not moved far. Our new office is just 1.5 kilometers away, in the widely recognized Winogrady Business Center. As advocates of agile methodologies, we treat change as something natural. We believe that the move will open new perspectives and allow our further development. From the seventh floor, it is certainly easier to see the possibilities ? 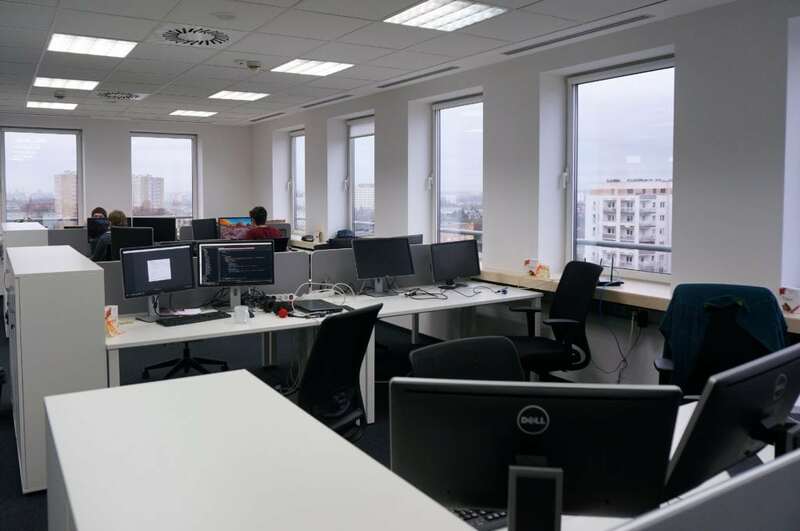 Our team is constantly growing and for this reason, the architectural limitations of the Piątkowska office started to bother us a little too much. The 5,700 square meters in the WBC building on the other hand allowed designing not only a bigger Open Space but also a separate office for Sales and Marketing (with three practical phone booths), three conference rooms, an office for our Analysts, our CEO’s office, a server room, a kitchen, a reception with a cozy waiting room and a chill room. 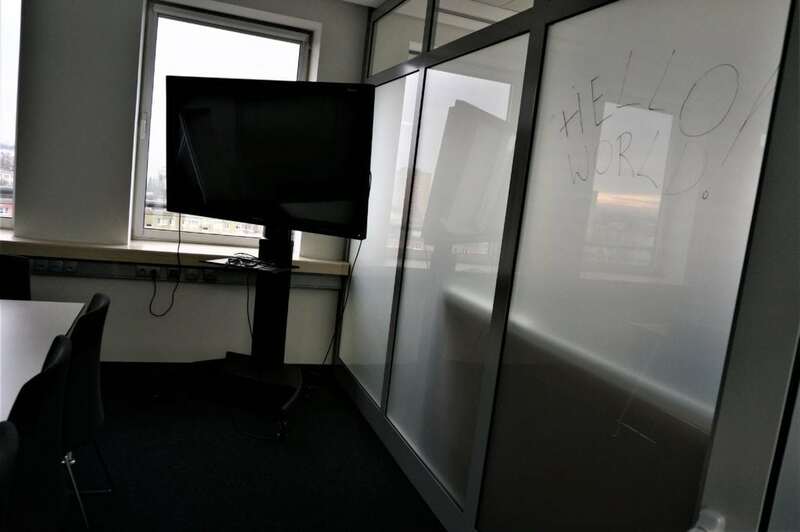 In the new place, we want to keep up the good software development practices and principles affecting the hygiene of our everyday work. For this reason, we took care of the comfort of individual workstations, which were separated by fabric-covered partitions. They do not interfere with free communication, and at the same time, when the task requires concentration – they provide an appropriate level of privacy. As has been proven, frequent breaks affect the efficiency of work. At eVolpe, you can spend it sipping excellent coffee or playing either billiards or table football. 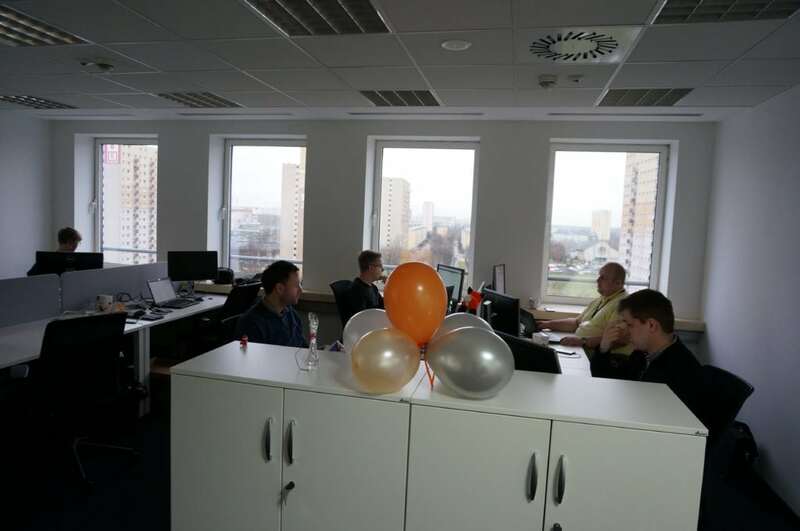 Our employees really liked the new location just by the popular tram line. 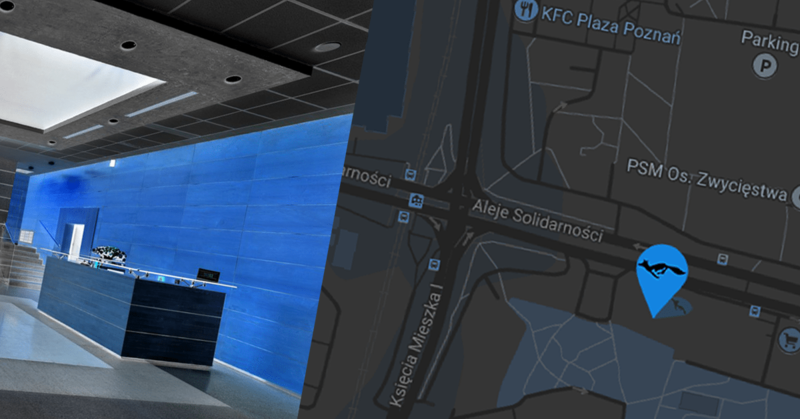 Near WBC there is also a bus stop, a gas station, two large supermarkets, two shopping malls, a park as well as the three largest residential districts: Piątkowo, Winogrady, and Naramowice. For many of us, moving to a new office means shortening or at least facilitating the everyday way to work. As it happens after a renovation, the cleaning will take a while, but we are already looking forward to the next years here at Aleje Solidarności 46. 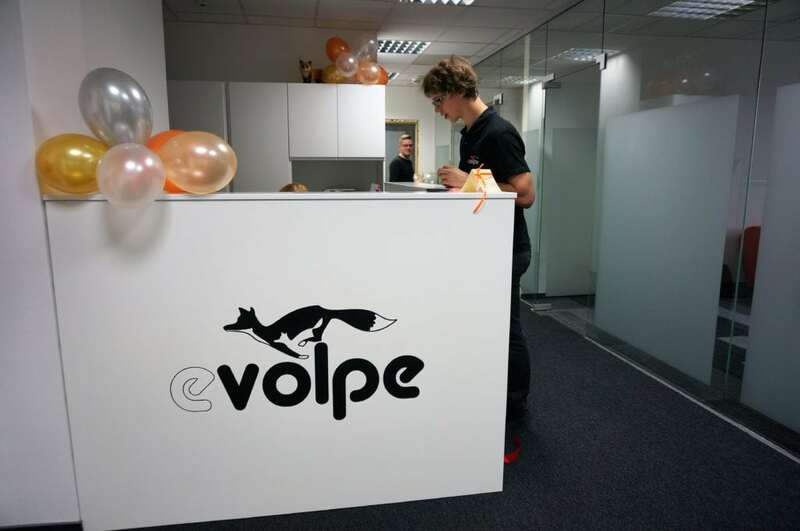 We also hope to see you dear Customers and Partners in our newly-opened office very soon!